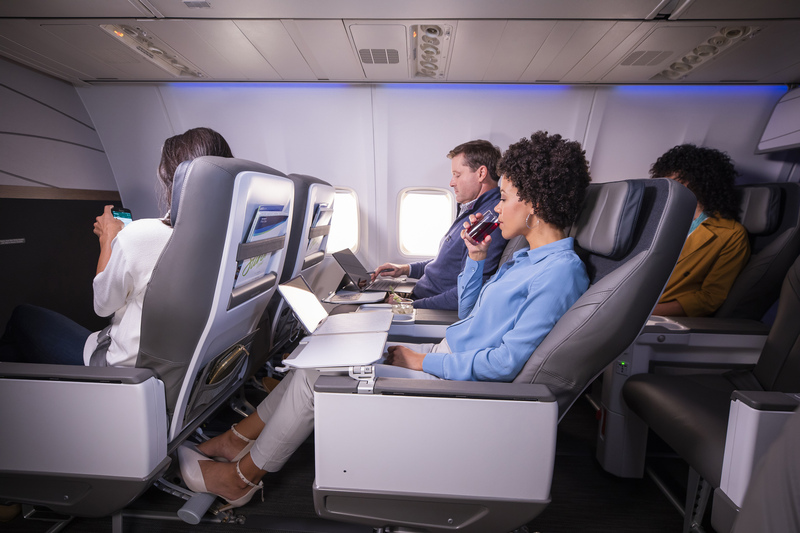 "Just two years after acquiring Virgin America, we're thrilled to introduce a modern cabin that aligns the onboard experience across our fleet," said Ben Minicucci, president and COO at Alaska Airlines. 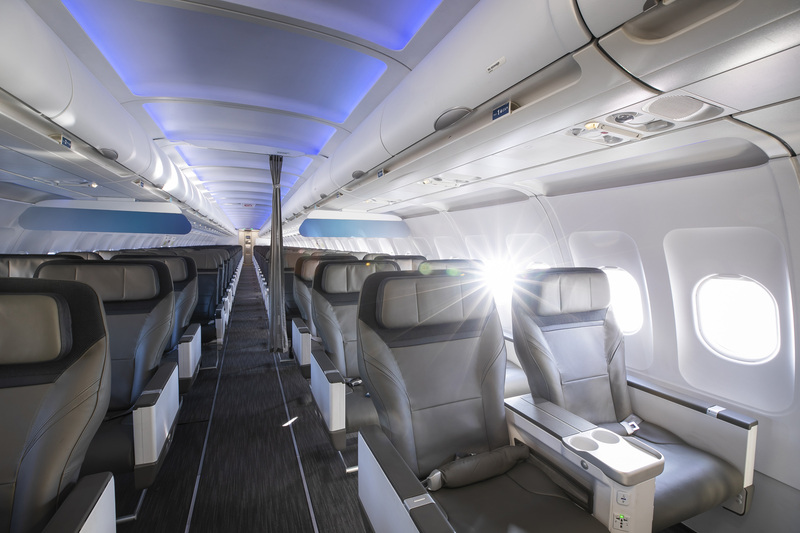 "After extensive feedback from our guests and in collaboration with our partners, we've infused the Alaska Airlines cabin with key brand elements from Virgin America – the result is a premium experience at an affordable price." Refreshed color palette from the updated bulkhead design to the carpet, bringing in neutral tones that are associated with relaxing environments against pops of Alaska's signature blue. Ambient mood lighting with calming, cool blue hues developed by lighting and color experts to complement the human body's natural circadian rhythm. The result is lighting that changes throughout the flight to promote an uplifting energy during the day and calming energy into the evening. Redesigned first class Recaro seats that evoke the feeling of both performance and comfort, like a luxury car. The sculpted design features memory foam and a 40" pitch, along with footrests to support guests of varying heights. Alaska's Airbus fleet of A319, A320 and A321 aircraft are being updated in phases this year and by early 2020, 36 percent of the mainline fleet will feature the new cabin interior – including the entire Airbus fleet, Boeing 737-700s and three new Boeing MAX 9 planes. The retrofitted planes will bring consistency to the guest experience across the Alaska fleet, and expand the First Class and Premium Class sections with 12-seats and 24-seats respectively, offering more guests the option of an elevated experience. Alaska will take delivery of its first MAX 9 this summer, which will feature the new cabin interiors. 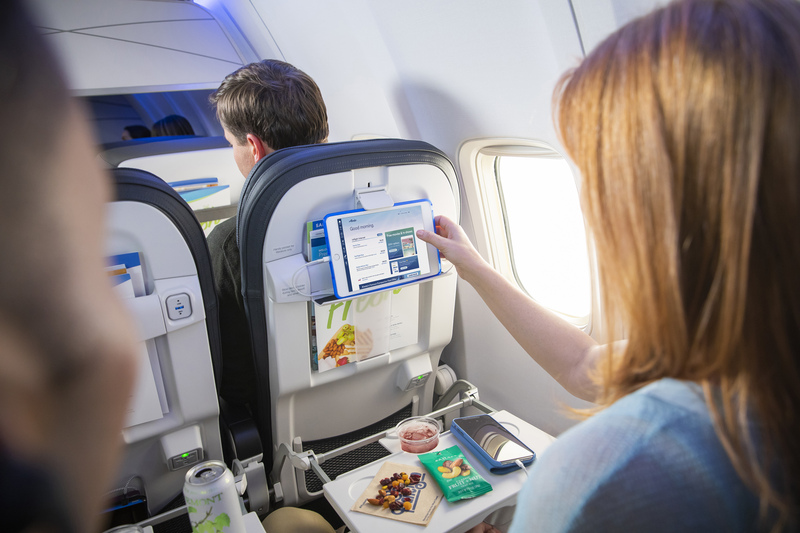 "Our guests are at the center of everything we do," said Andrew Harrison, Alaska Airlines' executive vice president and chief commercial officer. "From relaxing in our lounges to being in the air, we know travelers want more control and comfort, while also enjoying the same low fares and great service. So that's exactly what we did – we created a relaxing travel experience, so that our guests can focus on where they're going and leave the rest to us."